Faux fabric Diamond Plate turns into a Online Order Confidential Pick Up Area Cover. I am not sure the reason or need for “armored” confidentiality, but it does screen any mess in the storage area. The Faux Diamond Plate fabric, however bears some relationship to the seller. 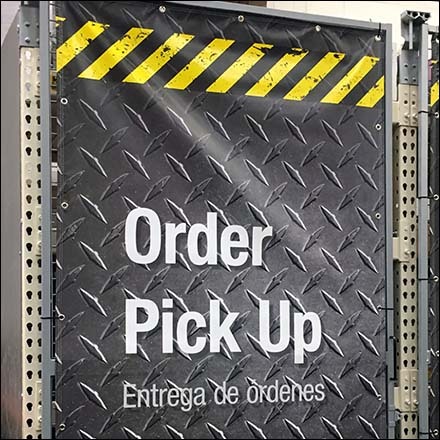 This Online Order Confidential Pick Up Area Cover seen at Home Depot.